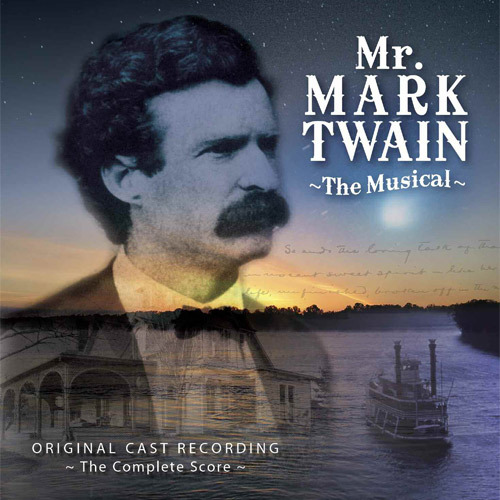 This entertaining musical biography of Mark Twain ran for more than 700 performances, and here for the first time is the complete score with its original cast and the accompaniment of a full symphony orchestra. 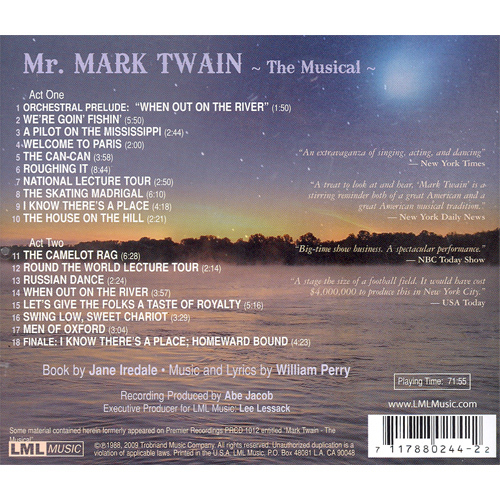 The humorous but also moving story of Twain’s life is artfully mixed with production numbers based on his most famous books: The Adventures of Tom Sawyer, Roughing It, The Innocents Abroad, A Connecticut Yankee in King Arthur’s Court, and Adventures of Huckleberry Finn. 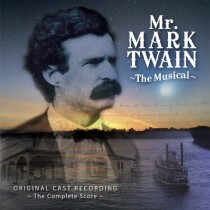 An earlier and abbreviated release under the title “Mark Twain – the Musical” has long been out-of-print, and this newly-mastered complete recording belongs in every original cast collection.